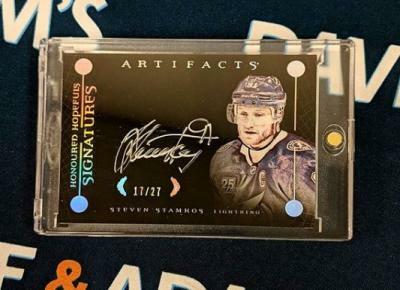 Kicking off the blog we have this nice silver auto from Tampa Bay Lightning superstar Steven Stamkos. Coming out of 2018/19 Upper Deck Artifacts Hockey and numbered 17/27. Artifacts is always a popular early season release for hits and this card shows why! Tampa should be pushing for a Stanley Cup Final appearance again and if they ever breakthrough and win the Cup, Stammer’s cards will see quite the surge in value. Let’s hit the court for these next two hits from two young stars of the NBA – Lauri Markkanen of the Bulls and Lonzo Ball of the Lakers. 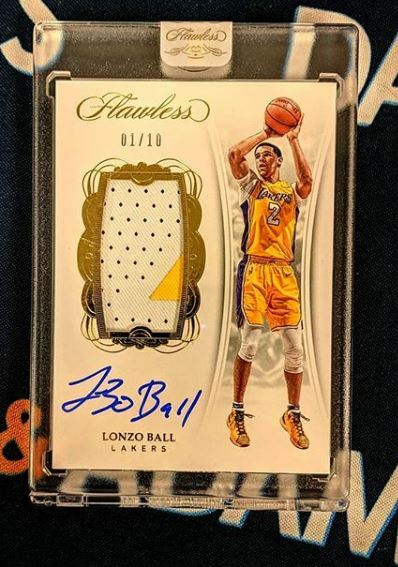 Coming out of two of the premier basketball releases 2017/18 Panini Immaculate Basketball and 2017/18 Panini Flawless Basketball! 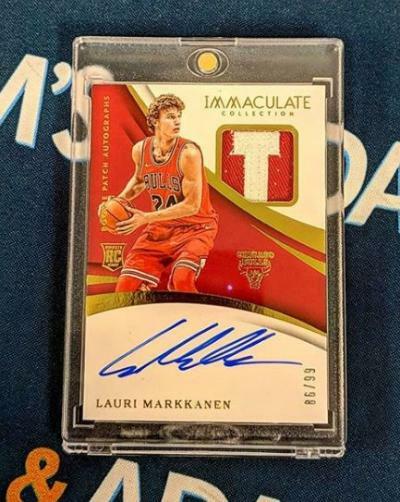 The Markkanen is numbered 86/99 while the Ball is numbered 1/10! Both of these rookies are looking to build off their solid debut years in 2018/19 and look out if/when they do! 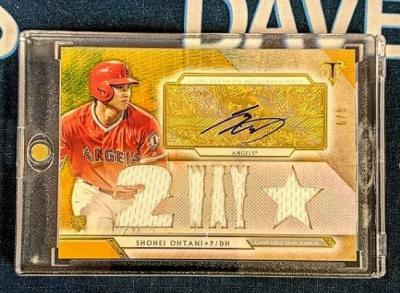 A familiar face around the blog this past Spring/Summer, Shohei Ohtani is back with two cards this week! A 2018 Topps Triple Threads Baseball auto jersey and a auto dual patch from 2018 Panini Flawless Baseball numbered 3/10! The post DACW Live – The Best Box Break Hits of the Week 11/5 – 11/11 appeared first on Dave & Adam's News.